Do you suspect that you’re dealing with a mouse infestation? 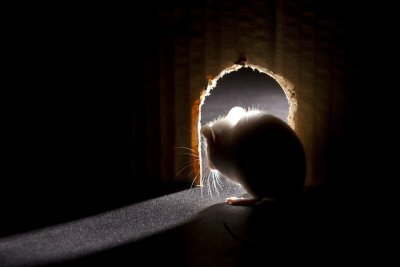 If so, then contacting a pest management company about mouse extermination in Crystal Lake could be significant for protecting your health. There are a number of diseases that can be spread by rodents and their fleas, droppings, urine, or saliva, so ridding your home of this pest can be important for your family’s wellness. Continue reading to learn about the health risks associated with this type of problem and why it’s important to call an exterminator about mouse control. Transmitted to people via rodents, usually white-footed deer mice, hantavirus is a disease that can be potentially life-threatening. Humans usually contract this illness through inhalation or exposure to the droppings, urine, or saliva of infected rodents. For this reason, the chances of becoming ill with hantavirus increase when people share living spaces with rodents. According to the Centers for Disease Control and Prevention, people infected with hantavirus typically exhibit early symptoms that include muscle aches, fatigue, and fevers. Chills, headaches, abdominal problems, and dizziness are also symptoms of this disease. Typically contracted by eating contaminated food, salmonellosis is a type of food poisoning. This disease is spread by rodent feces and can cause diarrhea, abdominal pain, and fever. There are many kinds of salmonellosis, and around 40,000 cases are reported each year. An infectious disease that can be fatal, rat-bite fever is spread by infected rodents or the consumption of food that has been contaminated by infected rodents. Symptoms usually begin to manifest 3 to 10 days following exposure, according to the Centers for Disease Control and Prevention. These symptoms include headaches, vomiting, fever, rash, and muscle pain. Sometimes referred to as the Black Death and notorious for taking the lives of more than a third of Europe’s population during the Middle Ages, the plague is highly contagious and often lethal. This disease is usually spread through the bites of infected rodent fleas, and symptoms of the plague include headache, fever, and swollen lymph nodes. 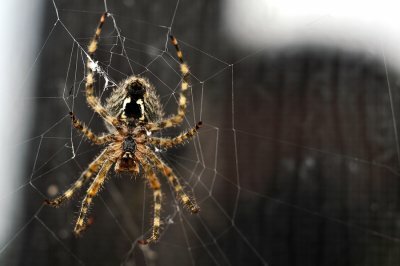 No one wants to find a spider in their home, but some species evoke more fear and are more dangerous than others. If you’re thinking about calling a bug exterminator because your home may have a brown recluse spider infestation near Crystal Lake , then read on to learn some important facts about this insect. Brown recluse spiders are light to dark brown in color and are known for having a dark brown marking on their backs in the shape of a violin. These insects are just ¼ to ½ inch long, have 8 legs, are round, and are found mostly in the south-central Midwest between Nebraska and Ohio down to Georgia and Texas. As their name hints, brown recluse spiders are not typically seen active because they are nocturnal. These insects feed on small bugs and spin webs into which they retreat, rather than use for catching prey. Brown recluse spiders normally live outdoors. When inside a building, they are often seen in areas that are usually quiet and undisturbed, such as crawl spaces, basements, attics, and closets. The brown recluse does not bite humans instinctively and does so only in defense. Both males and females of this species are venomous, but their bites are not typically felt. However, people bit by these spiders usually experience a stinging sensation followed by intense pain that can last for 8 hours or longer. A small blister typically forms as the site of the bite and can progress into an open ulcer. Common symptoms of a brown recluse spider bite include fever, restlessness, and difficulty sleeping. If you think you may have a brown recluse spider problem, then consider contacting a bug exterminator about spider control services. To protect yourself until the spiders are addressed, do not leave clothing on the floor and keep garments and shoes stored in containers. Finally, shake out any items of clothing that aren’t stored in a container before you wear or wash them. Does your home need pest control in Crystal Lake ? If so, then there are several reasons why you should leave the pest removal process in the hands of a professional exterminator. Watch this video to learn why it makes sense to call the pros when you need pest management. To protect your property and family from the problems associated with a pest infestation, you can benefit from hiring someone who knows what they’re doing and is equipped with effective solutions. Instead of experimenting with DIY methods of removal, trust a highly trained and licensed pest control professional to get bugs and rodents out of your home. How Many Offspring Can Black Widows Produce? There are many spiders that inflict fear in humans, but not many are as horrifying as black widows. Female black widows are large spiders that are almost completely black except for a red hourglass figure on their bodies. These dangerous spiders should only be handled by a spider exterminator who can examine and destroy a spider’s nest in Crystal Lake with guaranteed results. Watch this National Geographic video to learn more about black widow spiders’ nests and their offspring. Once a male black widow spider has fertilized a female, she will lay sacks full of eggs in her spider nest. She can lay up to five sacks that are each filled with 200 eggs. Within two weeks, the eggs will begin to hatch, and up to 1,000 black widow spider babies will emerge. To prevent a spider infestation, call a professional spider exterminator whenever a black widow is spotted.